James holds a Bachelor of Science and Business Degree from Flinders University in South Australia. Since joining Greening Australia in 2005, James has undertaken a wide variety of roles which have involved working with our teams across many different states including Operations Manager, Vegetation Services Manager and most recently Conservation Programs and Science Manager. This diversity of roles has given him an excellent understanding of all aspects of a project from funding submissions through to practical implementation and engaging partners and local communities. 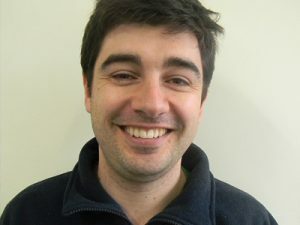 James has strong knowledge and expertise in landscape scale restoration planning (he is a qualified Conservation Action Planning facilitator), site scale restoration planning, project management including carbon biosequestration, biological surveys, monitoring and mapping. 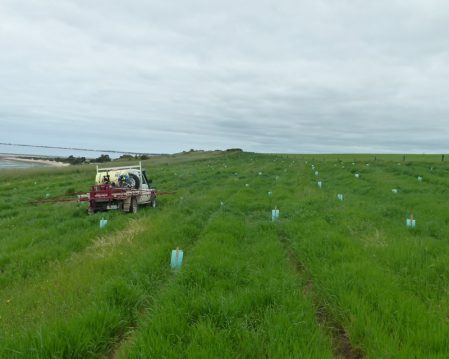 James has also trained and developed a number of survey methodologies for remnant and revegetation sites and has a particular interest in adapting the latest technologies such as GIS and drones to perform monitoring tasks for scientific study or public engagement. His passion for conservation continues outside of work hours. He is an active member of the Friends of Belair National Park and the Native Orchid Society of South Australia. His love of photography has merged with his interest in learning more about the natural world and he can be found on most weekends wandering through Belair National Park taking photos, particularly of invertebrates. James has co-written a number of biodiversity field guides books and has several more in the pipeline. I look forward to broadening my engagement with the entire Greening Australia team and to progressing our national programs. I hope I will be able to work with everyone to develop some fantastic tools to make our lives easier and to improve conservation outcomes.